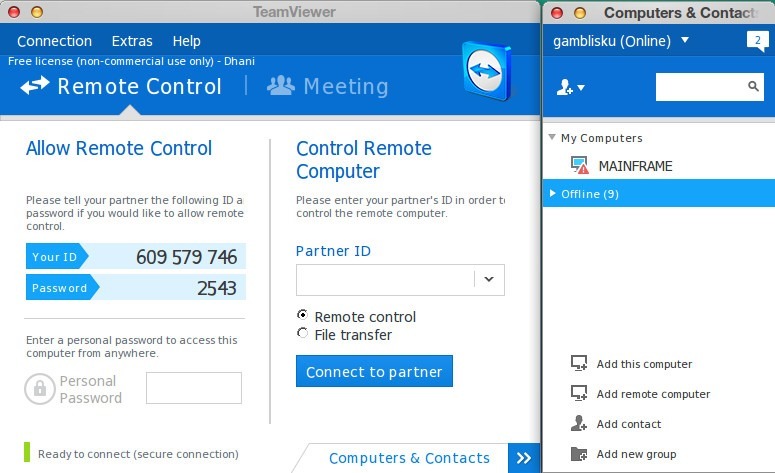 TeamViewer is a popular, free remote desktop application. It will let us to connect to remote computer using internet connection. TeamViewer 9 has many professional features. Here I want to show you how to install TeamViewer 9 on Pear OS 8. Installing TeamViewer 9 on Pear OS 8 is pretty much the same with installing TeamViewer 9 on Linux Deepin 2013 and any other Ubuntu based Linux. Now, right click the file and select Open with GDebi Package Installer. Then press Install Package and in few seconds TeamViewer 9 should be installed without problem. Now you can start using it to connect to a remote computer.